We've stayed a few times at this campground, before it was even a part of the KOA network. 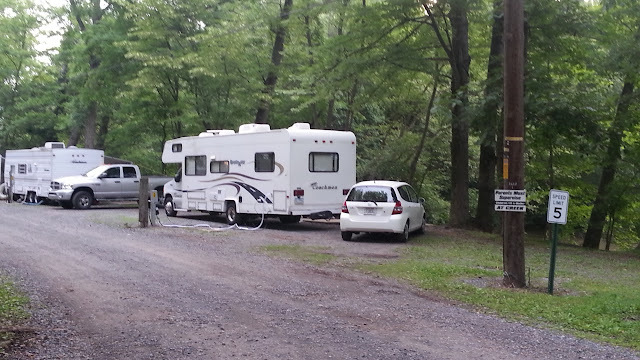 At our first visit it was still named Lickdale Campground. We discovered the park by talking to the owner at an RV show in Oaks, PA - outside of Philadelphia. The conversation was friendly, and the park sounded like our type of campground. Plus, we had not camped in the area before so soon after arriving back home we booked a stay. We're glad we did! Jonestown KOA is near the juncture of I-78 and I-81 in Southern-Central Pennsylvania. Being within a mile or so of the interstate seems to make the campground a great stop-over point for travelers heading toward northern or southern destinations. From the brief conversations we've had with other RVers - and the license plates on the motorhomes, trailers and fifth-wheels we see - there are plenty that make this a regular stopping point while passing through Pennsylvania. There are even special, easy access & pull-through campsites for these come-n-go RVers. The camp store is what you want a camp store to be! in fact, the locals use it as their "go to" convenience stores. The store, which is also the camp office, has frontage on Lickdale Road where it intersects with State route 72, making it truly convenient in and out. The store does not stock just your essential camping items, but has a full deli, Ice cream shop and even tasty broasted chicken - that can be delivered right to your campsite! To top off the activities at Jonestown KOA, they also sell tickets for, and will shuttle your family to, Hersheypark. 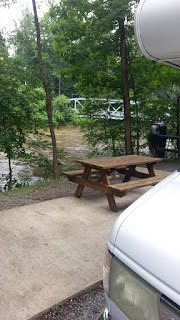 The amenities and location of Jonestown KOA are all great, but what draws us to this campground are its camping spots directly next to the Swatara creek. Each camp pad along the creek has a concrete patio, with steps leading down the bank to the the water's edge. There are plenty of Sweetgum, Oak and Maples to shade your site. Depending on the height of the creek from current rainfall, you can sometimes wade in, or just fish from your campsite. The campground also rents tubes, kayaks and canoes. They will shuttle you to a entry point upstream to start your journey. Nothing like floating on the water and being able to beach your craft at your own campsite! 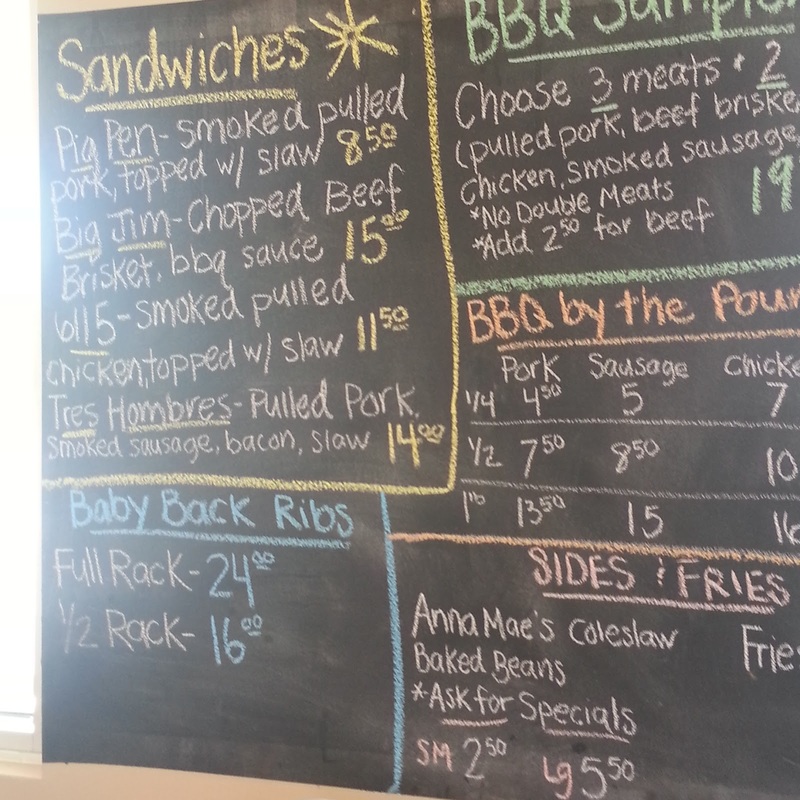 Farmer's Wife Family Restaurant (no website) in Ono,PA is a no nonsense eatery. We've enjoyed great breakfasts, lunches and dinners there. 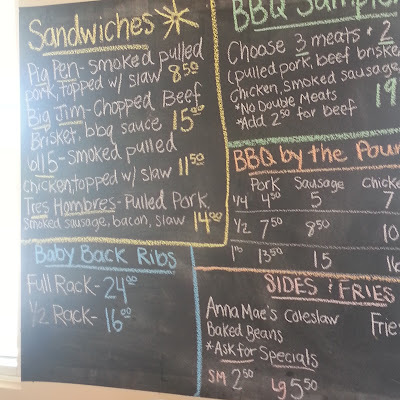 The menu is stuffed with variety, and the prices are very reasonable. Things to do in the area besides HersheyPark include Indian Echo Caverns, Linda's Speedway (Where Jonestown KOA sponsors a driver) Swatara and Memorial Lake State Parks, and the National Guard Museum Aircraft and tank displays. You may even see the National Guard doing practice maneuvers. 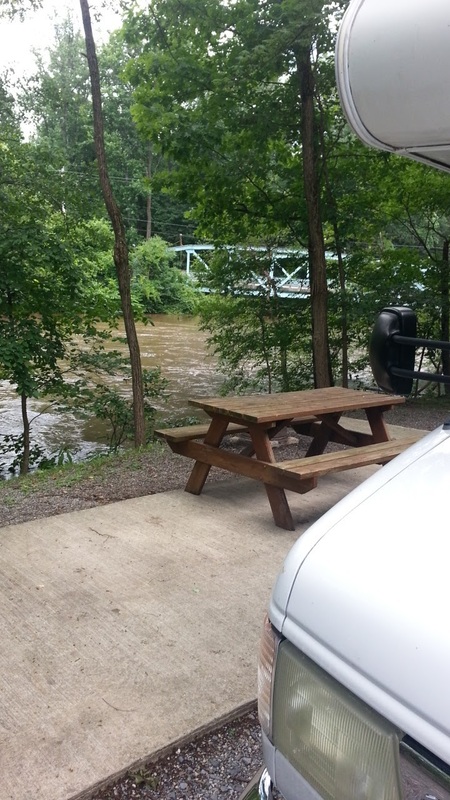 We highly recommend Jonestown KOA as a great base for checking out Central Pennsylvania! What Type of RVing Lifestyle Fits YOU?